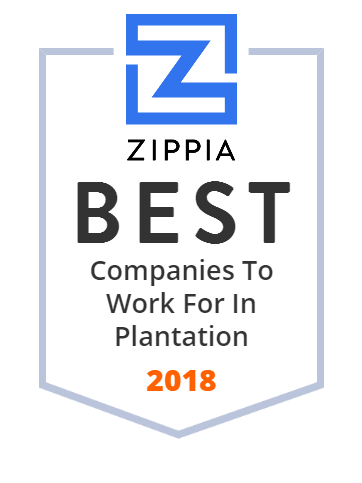 We hand-curated a list of the best companies to work for headquartered in and around Plantation, FL using data on salaries, company financial health, and employee diversity. TradeStation Group, Inc. is the parent company of online securities and futures brokerage firms and trading technology companies. MerchantBoost is the live data solution provider, we equip financial service companies with solutions that fill the gap between historical, real-time and live data information, to improve their marketing, underwriting, and collections. Coastal Risk is revolutionizing the way individuals, businesses, and communities understand, communicate, and adapt to the growing risk of flooded properties. Dlites emporium offers high quality sugar free dessert specializing in a variety of diet smoothie and sugar free ice cream flavors. Oncology Analytics provides health plans with an evidence-based, technologically driven approach to utilization management, which is purpose-built for oncology. B & B Interior Systems, Inc. provides metal framing, drywall, acoustical ceilings, plastering and Custom & Specialty Interior Services to our clients. American Heritage School is a private, college preparatory, independent, nonsectarian, and co-educational day school for grades Pre-K 3 through 12 with two campuses educating approximately 4,200 students and a student/faculty ratio of 5:1. Actionable insights for care staff and management, peace of mind for seniors and their loved ones using senior health care monitoring technology. The Fort Lauderdale Country Club, a private golf club established in 1926 with two 18 hole golf courses on nearly 300 house free acres. 5 miles from the beaches on the border of Plantation. Neptune Society is the nation's most trusted provider of cremation services. Whether you need help today, or want to plan for tomorrow, count on us.